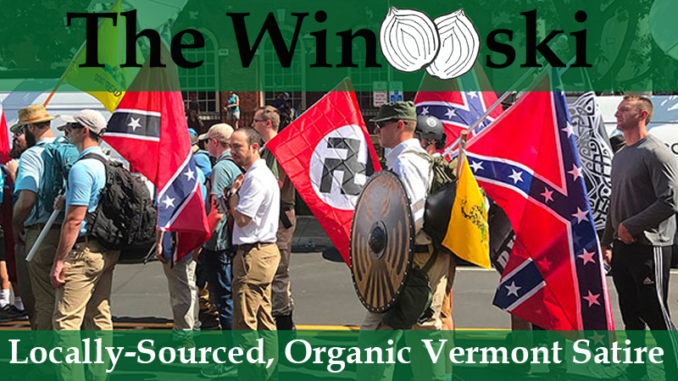 MONTPELIER – Concern has arisen among Vermont’s top racists after an announcement from state Attorney General TJ Donovan that he will not prosecute anyone involved in the attacks that led to Kiah Morris, the state’s only female African-American representative to resign. Many feel at this point that there is nothing they can do to be prosecuted. Some racists are planning to leave more evidence around crime scenes, while others may start using their real names online in hopes of being held accountable for their actions. Vermont Democrats responded to the complaints by promising to hold more sensitivity training, and several party leaders are reportedly working on an important informational poster.